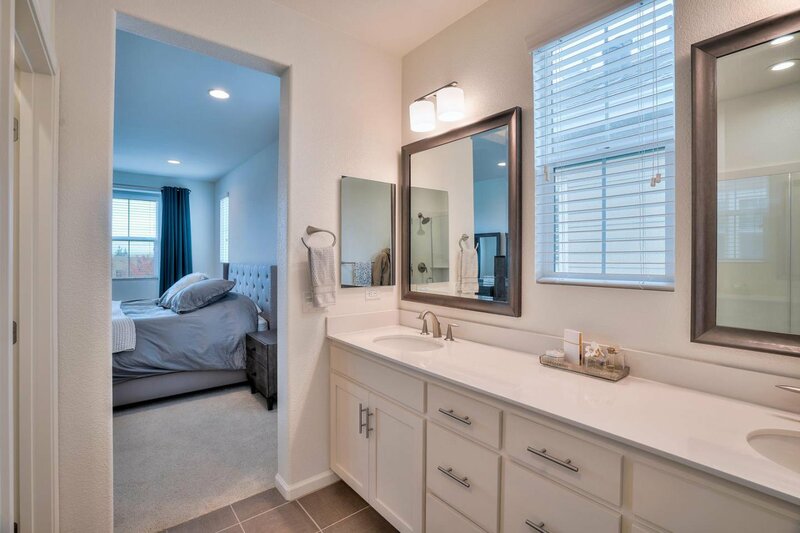 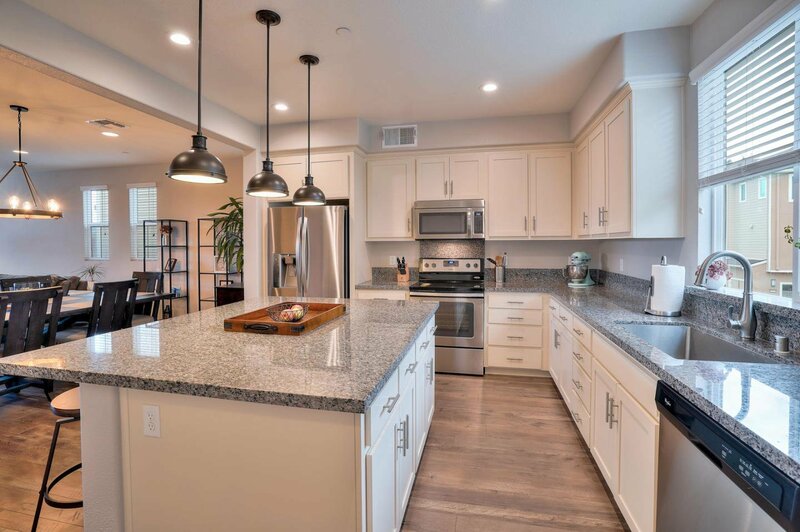 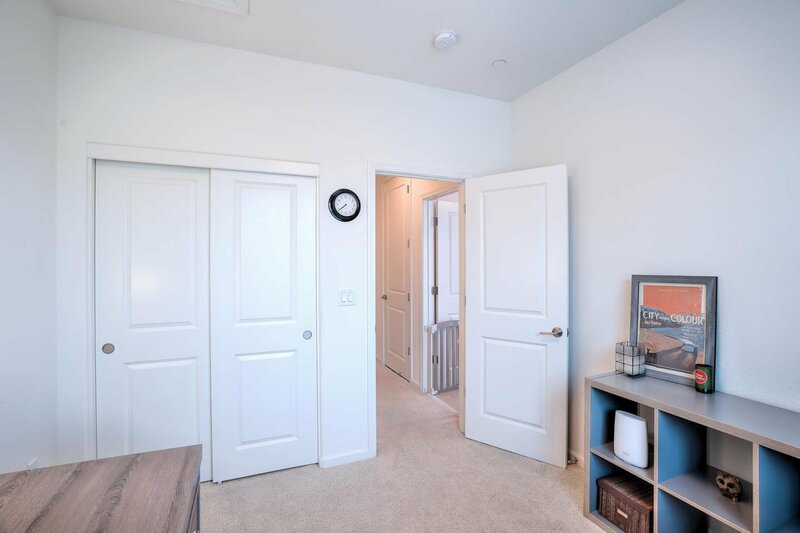 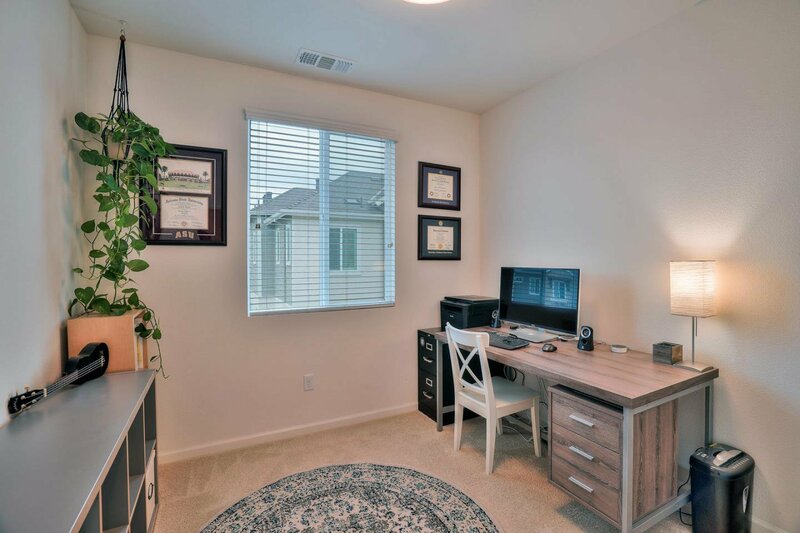 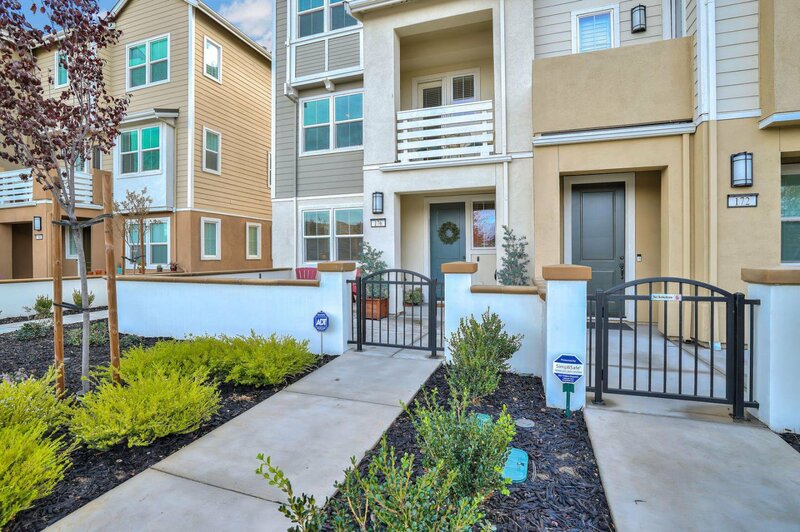 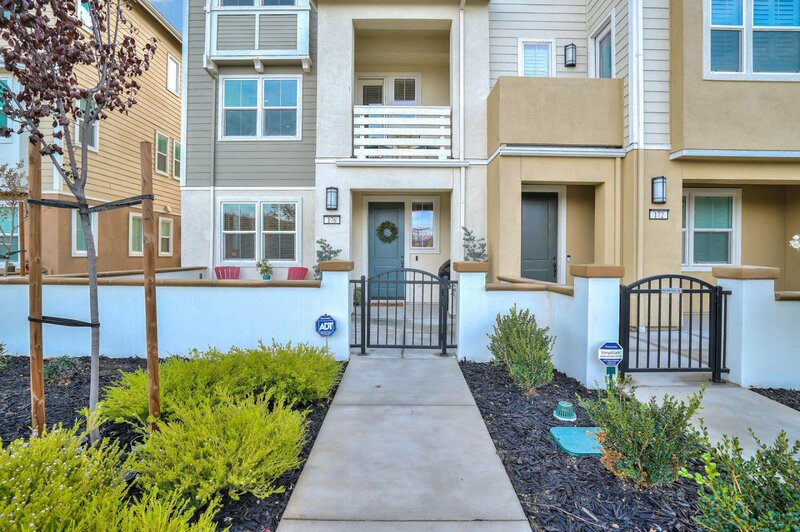 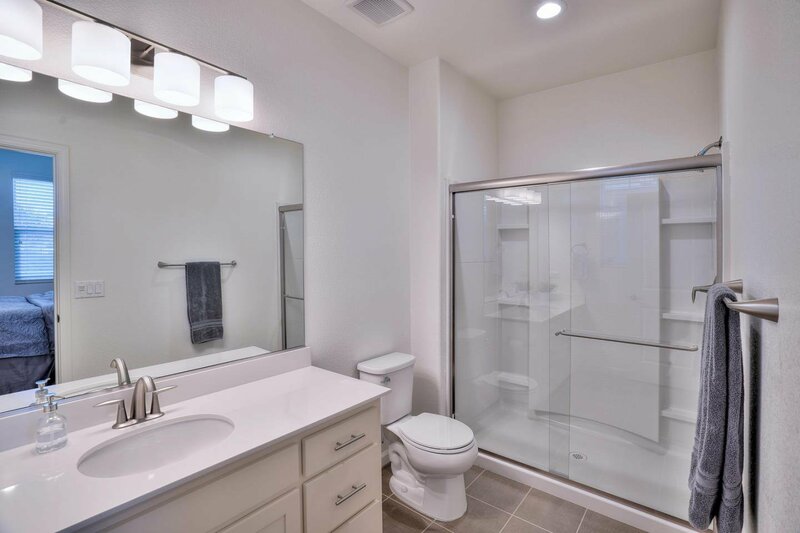 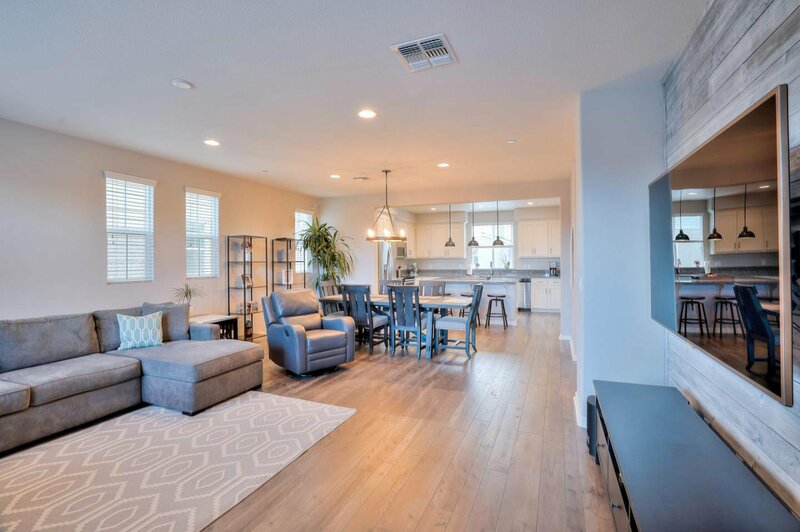 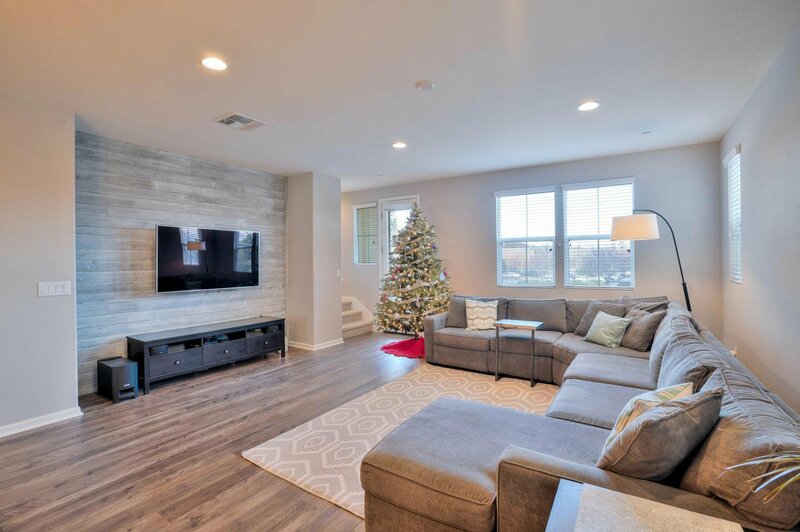 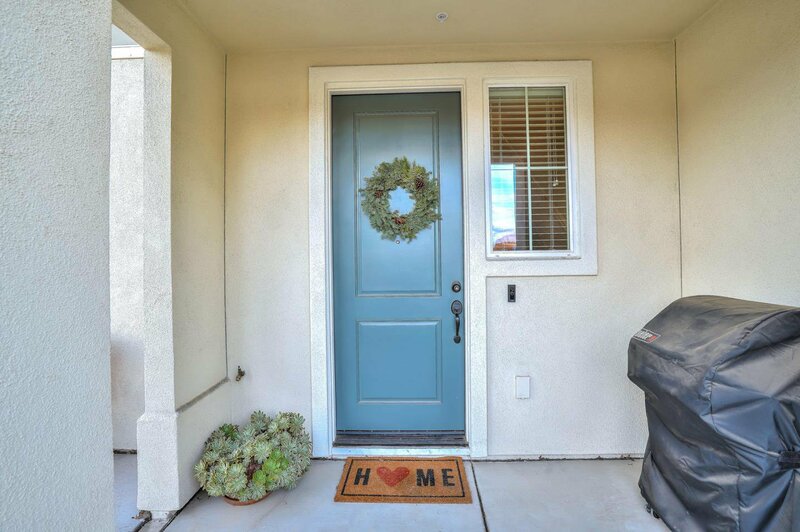 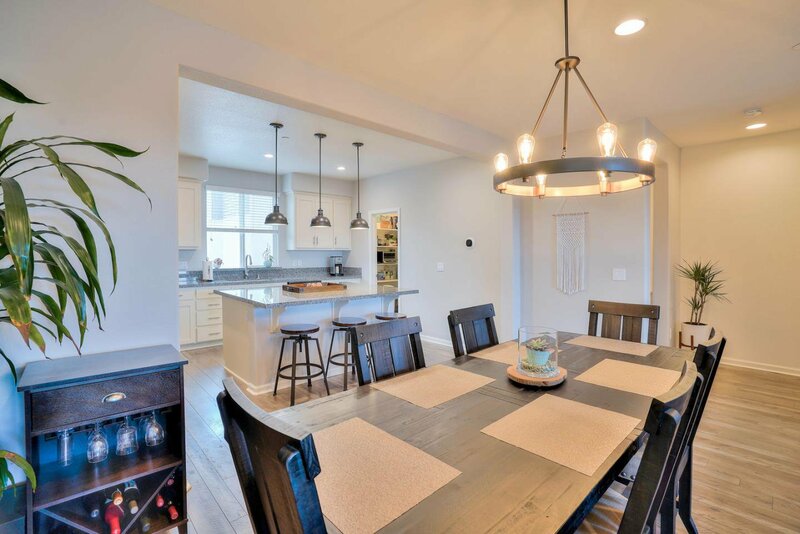 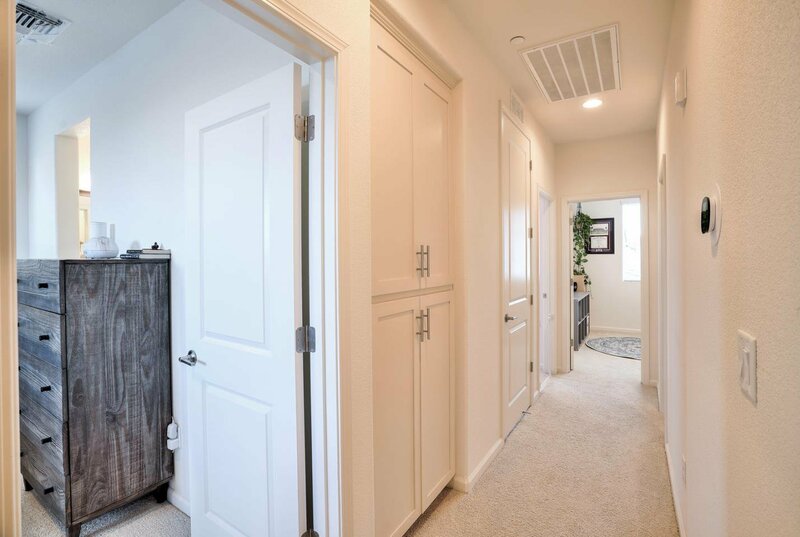 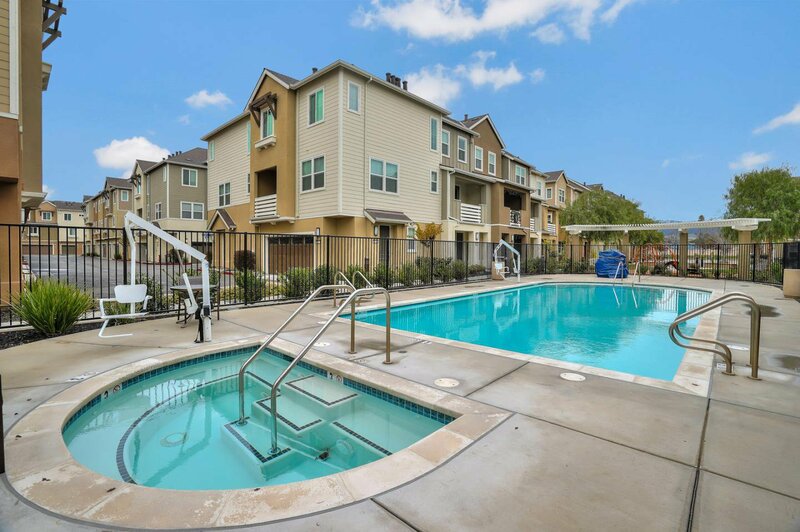 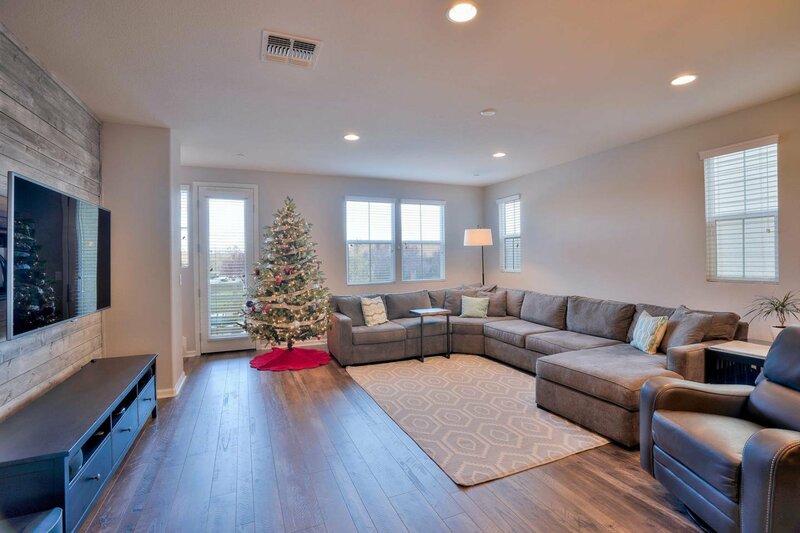 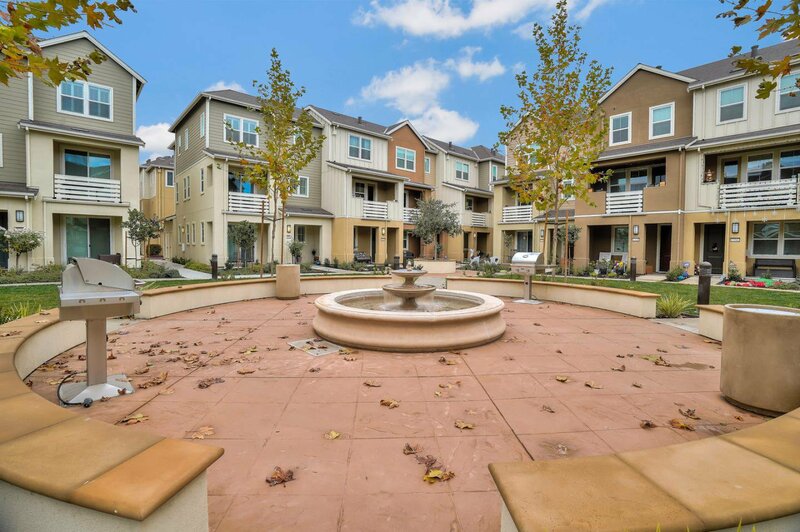 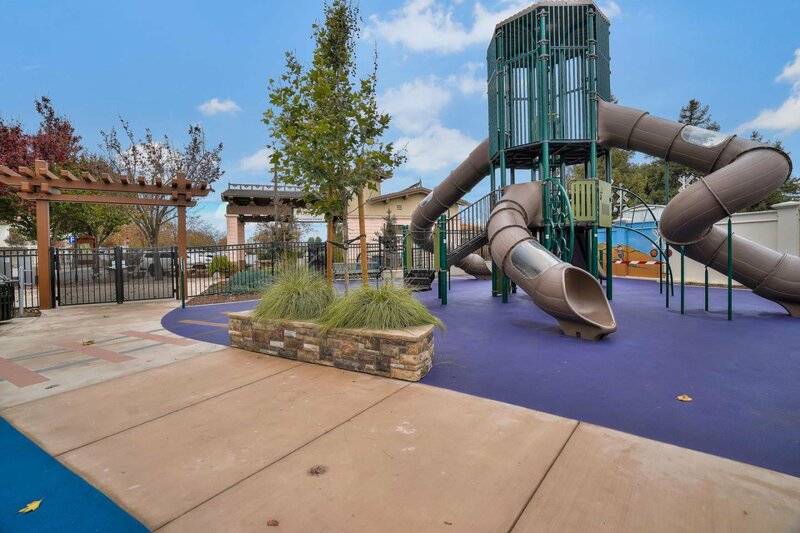 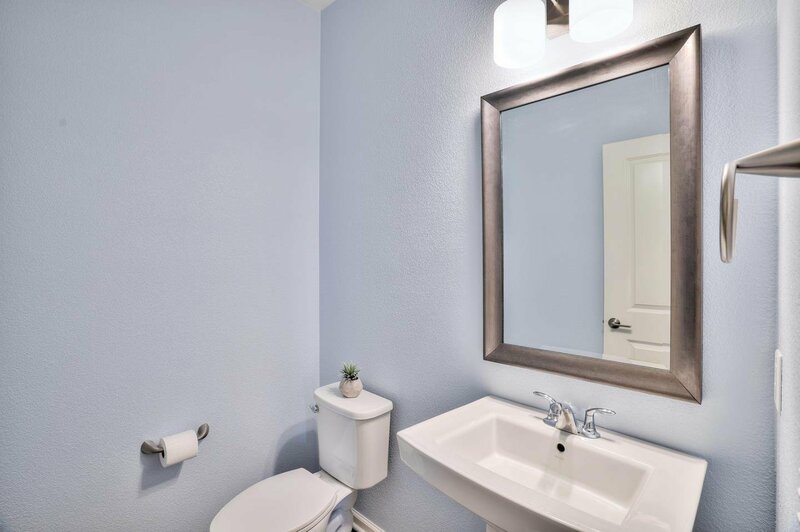 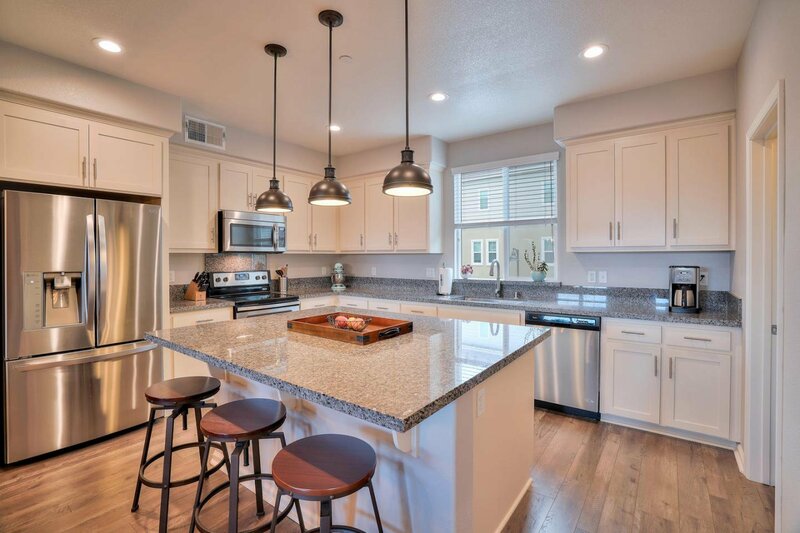 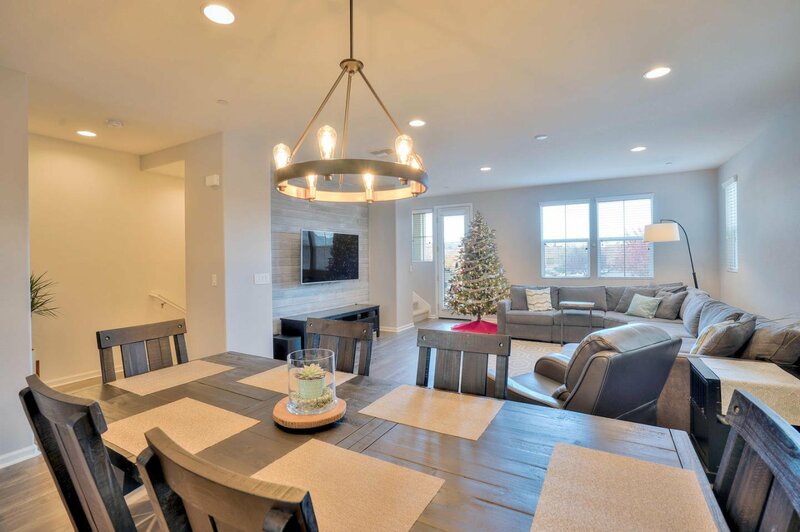 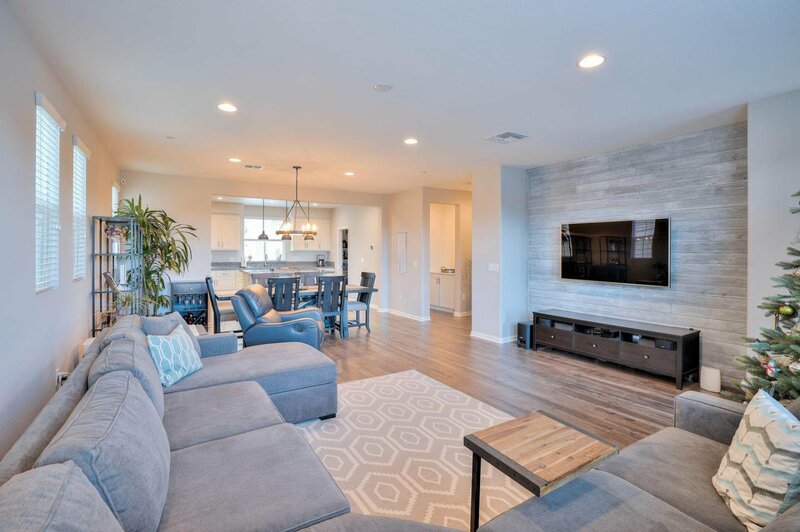 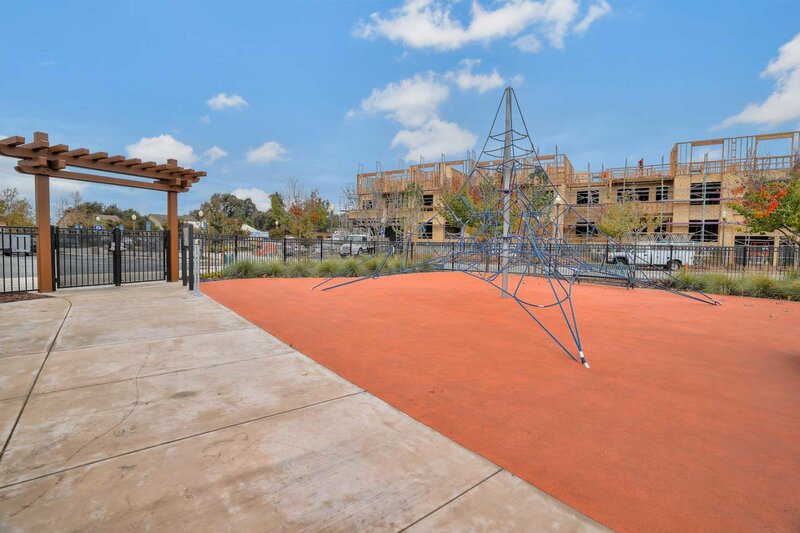 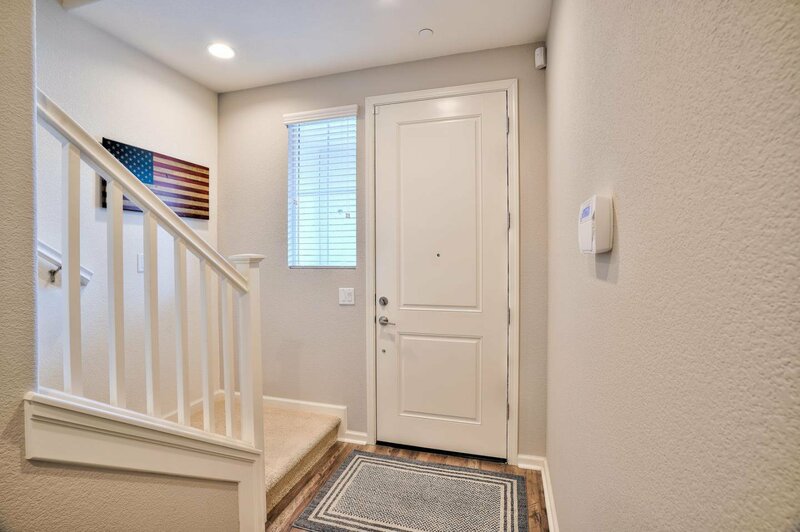 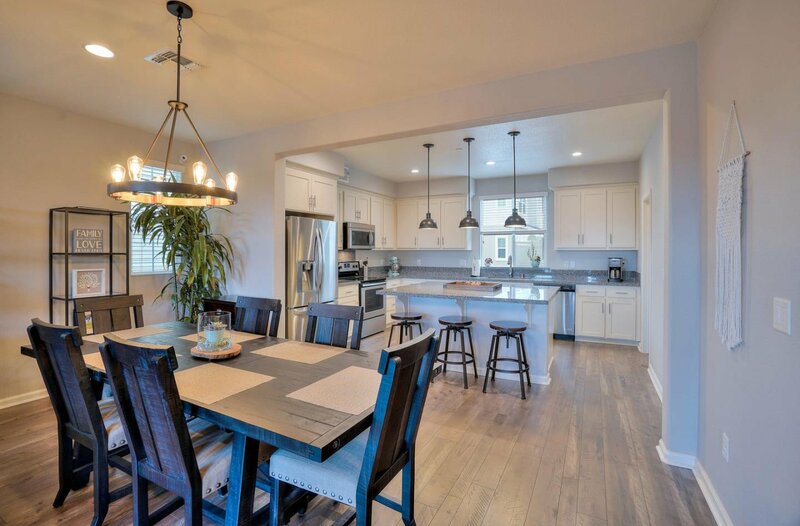 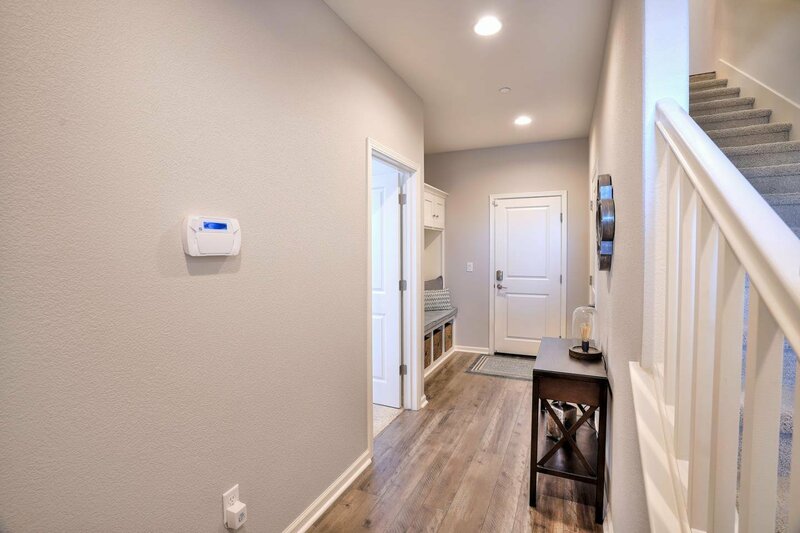 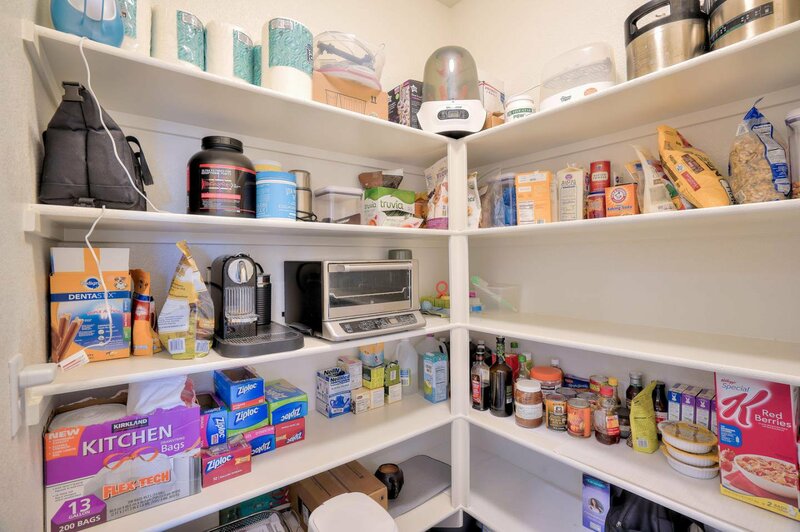 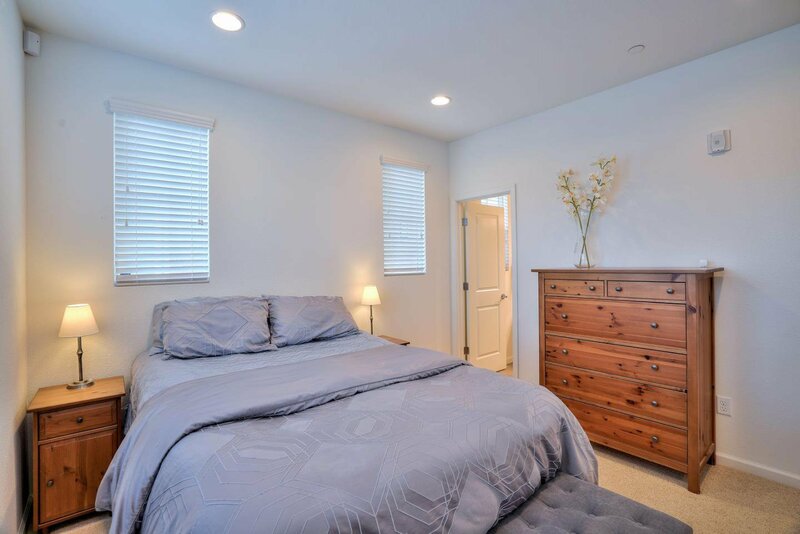 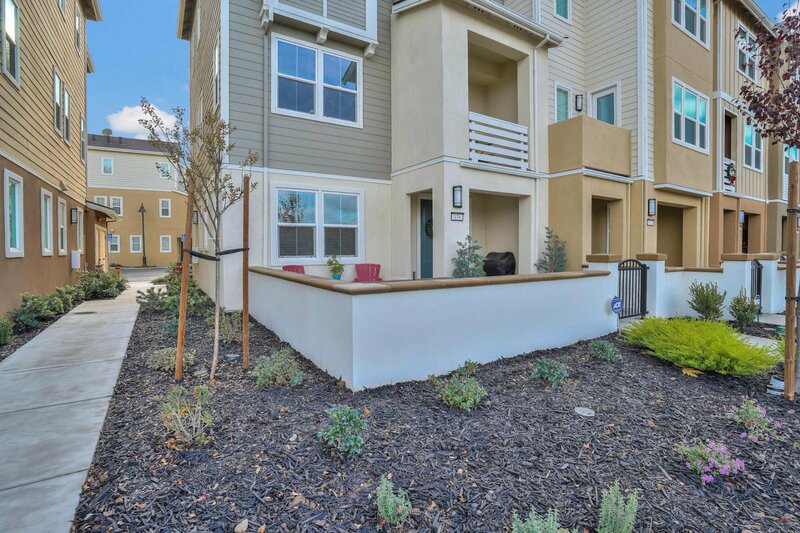 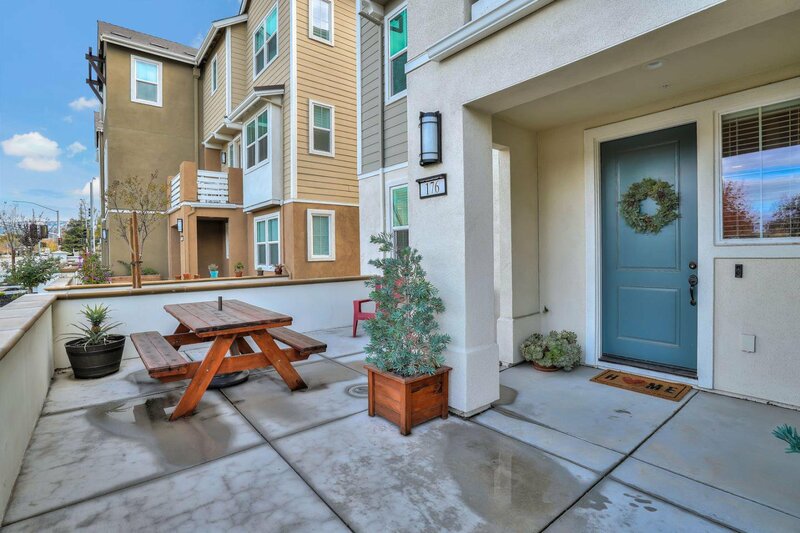 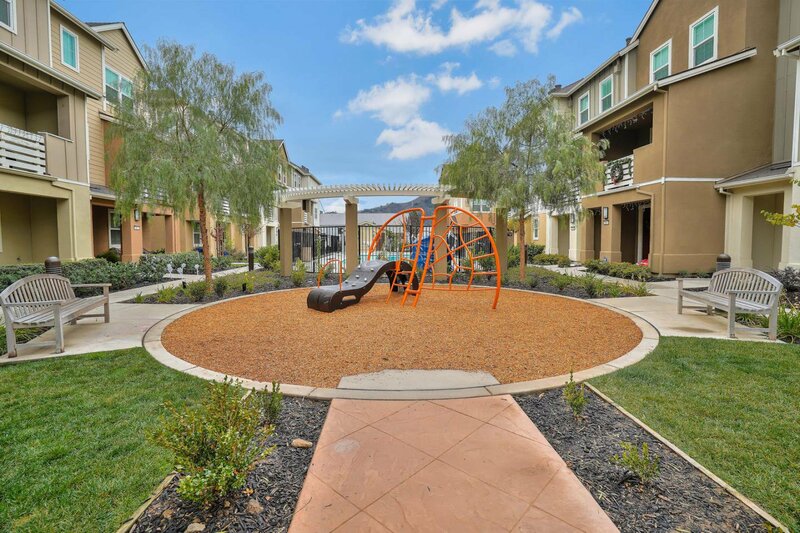 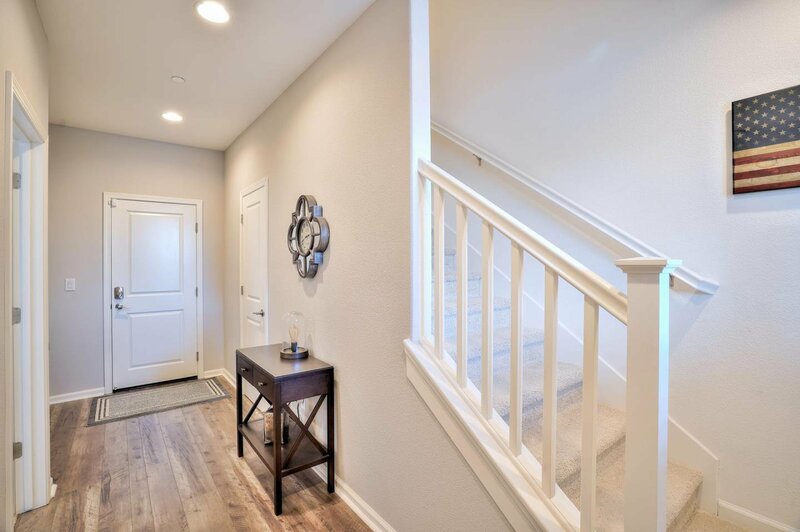 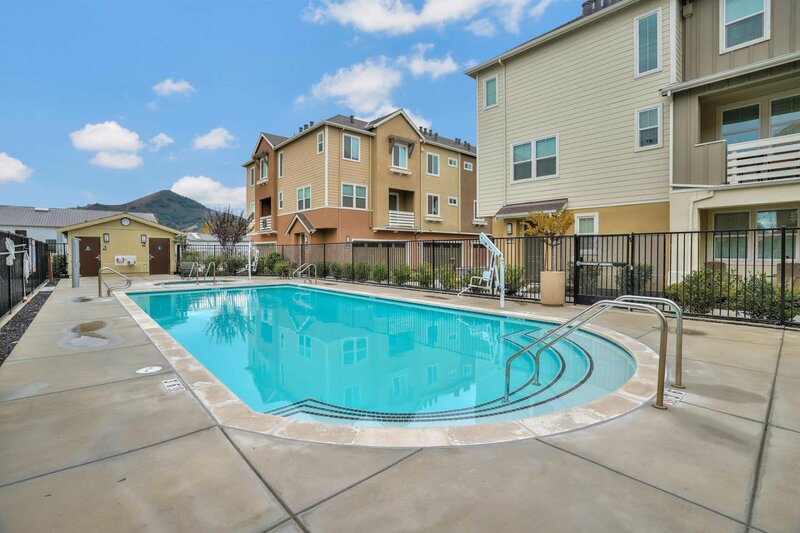 ~STUNNING & LIGHT FILLED 4 BEDROOM/3.5 BATH CONDO WITH TOWNHOME STYLE LIVING AT ITS FINEST~This has to be one of the nicest end unit floor plans with 2,209SF & steps to downtown Morgan Hill. 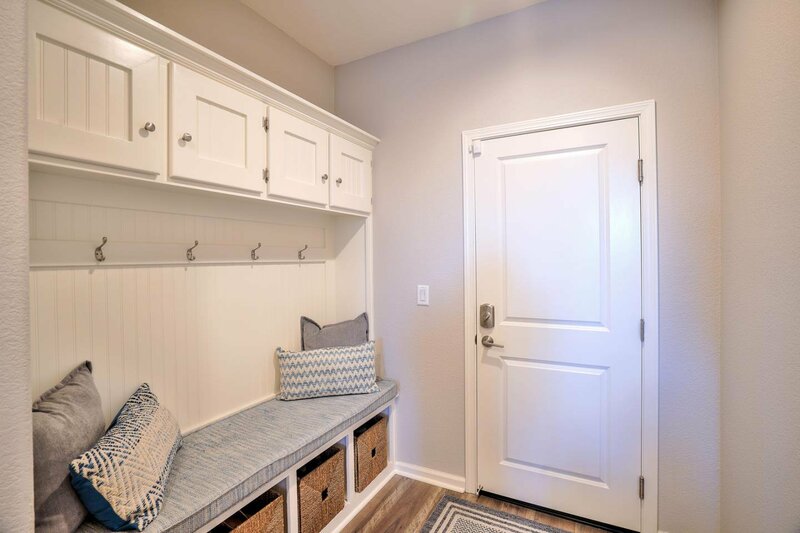 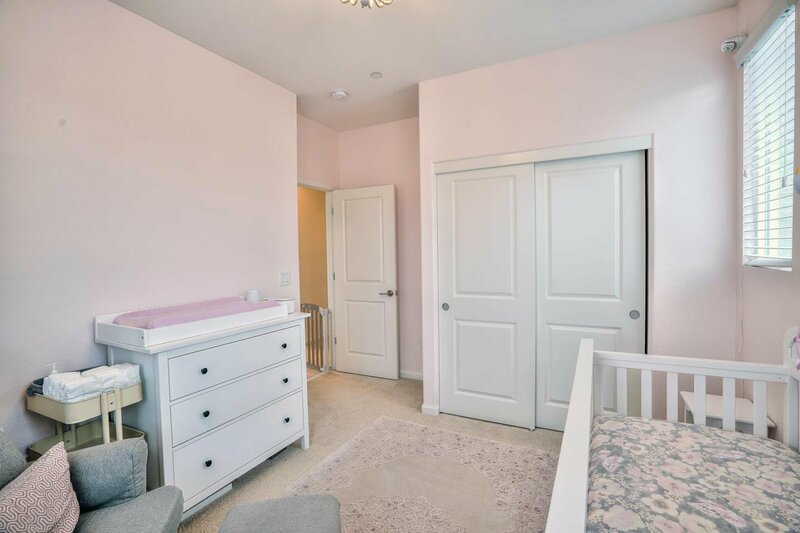 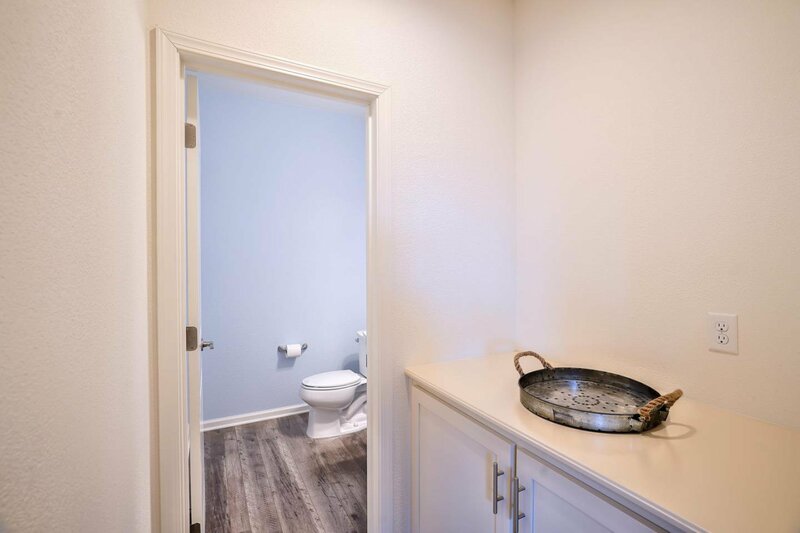 Upon entering you are immediately greeted by a lovely entry with laminate flooring and custom built-in coat rack with storage, 2 car garage access & downstairs junior bedroom ensuite. 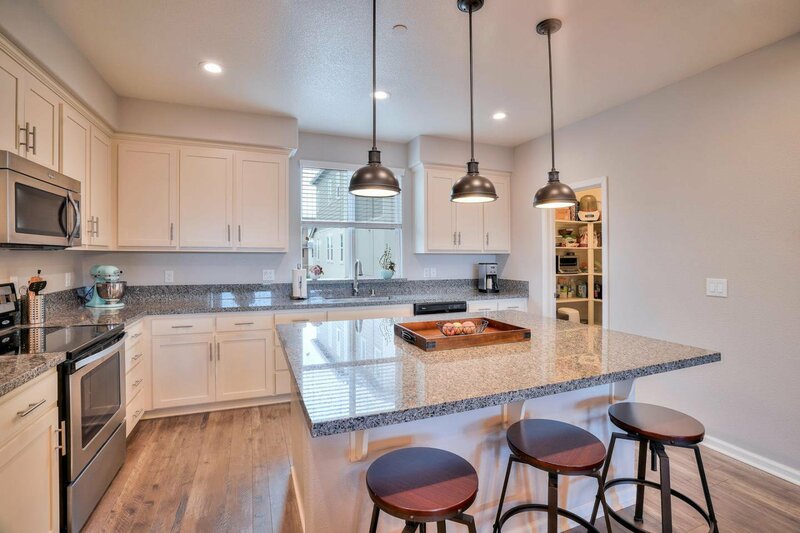 Beautiful kitchen with large island, granite counter tops, white painted cabinets, stainless steel appliances & pantry for extra storage. 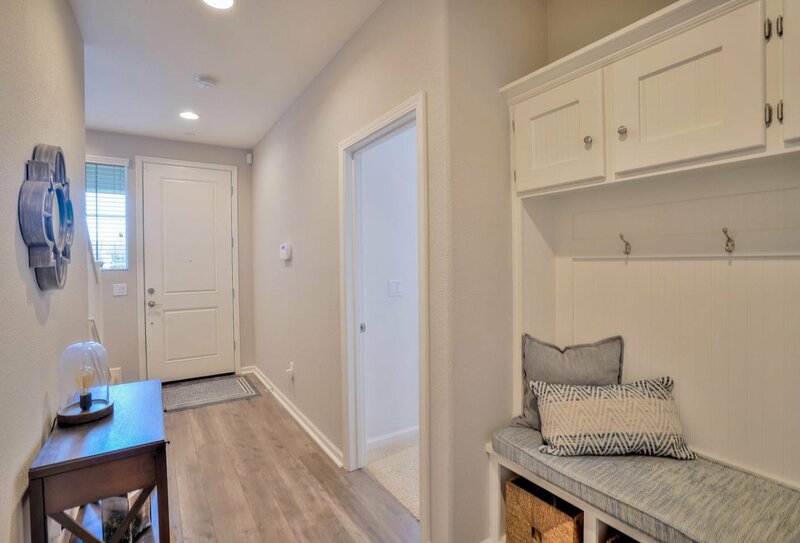 Opening to the dining/living room area with lots of windows with a custom designed and installed clapboard style wood wall. 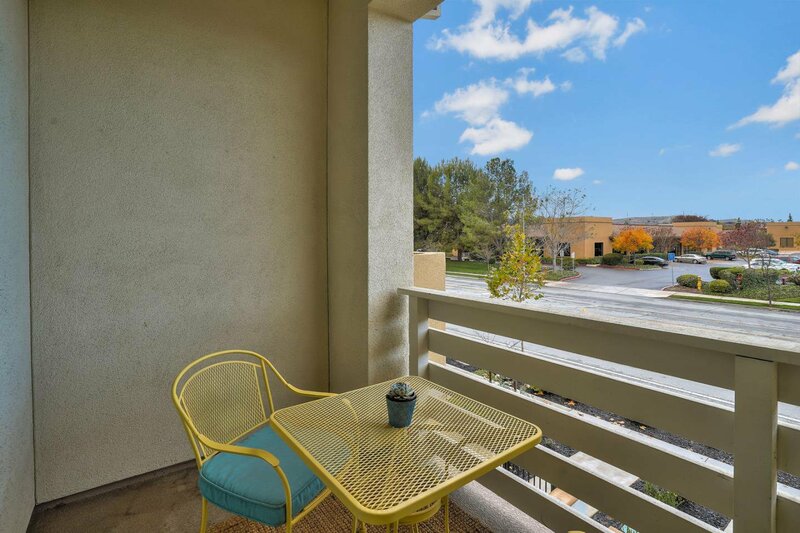 Balcony off the living room with a phantom screen door and a nice seating area to enjoy a glass of wine or your morning cup of coffee. 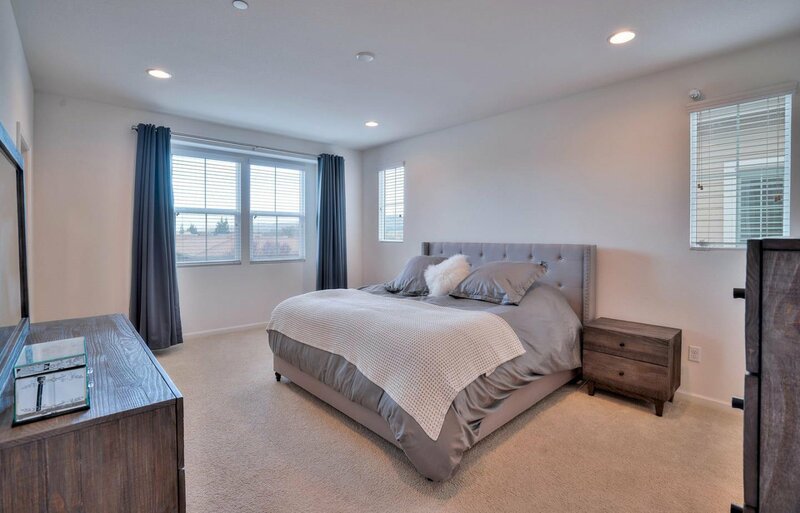 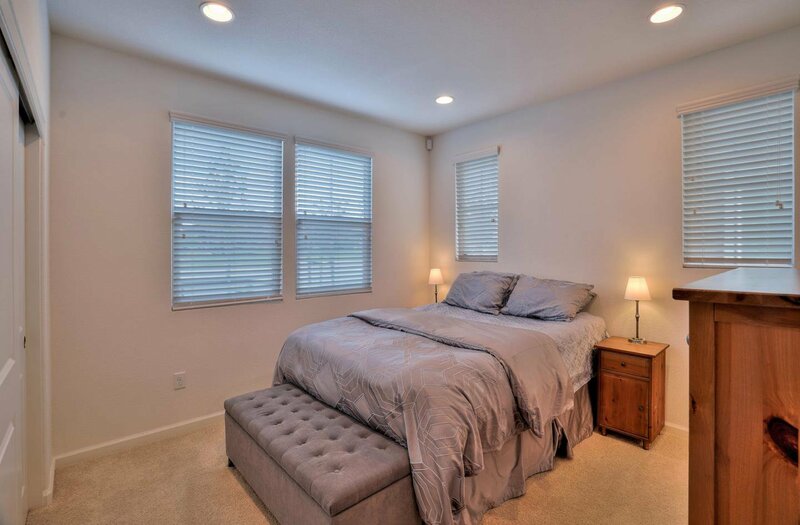 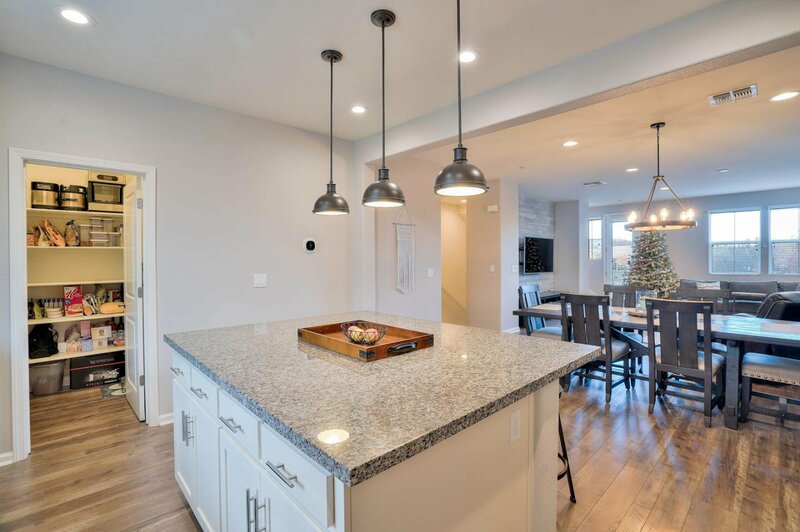 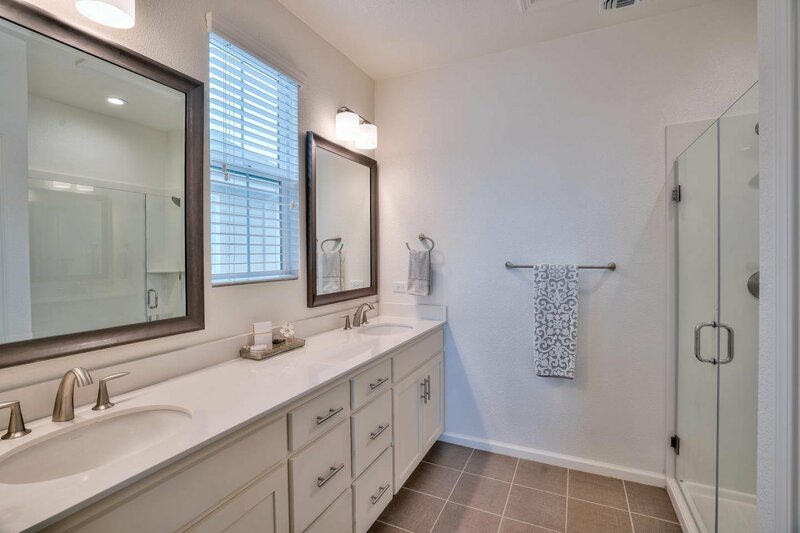 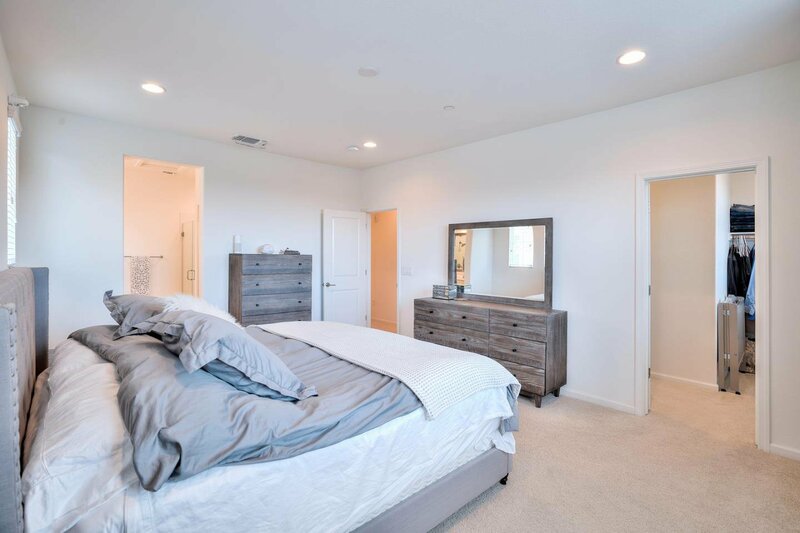 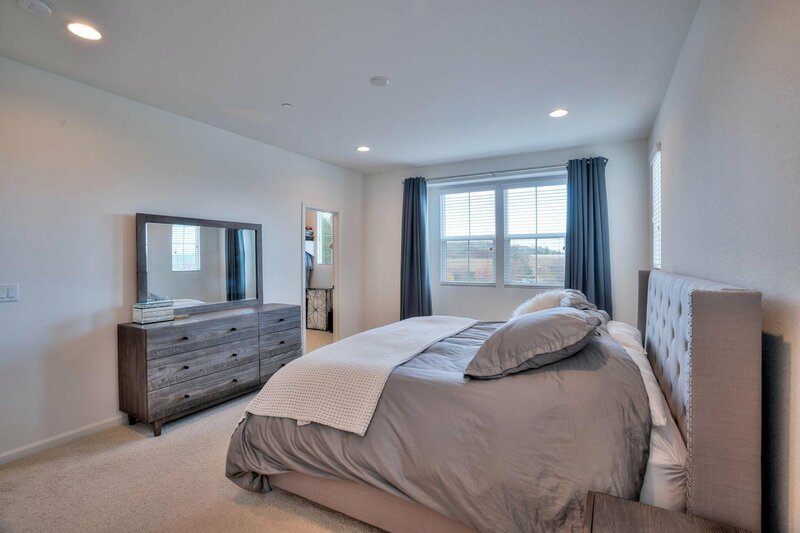 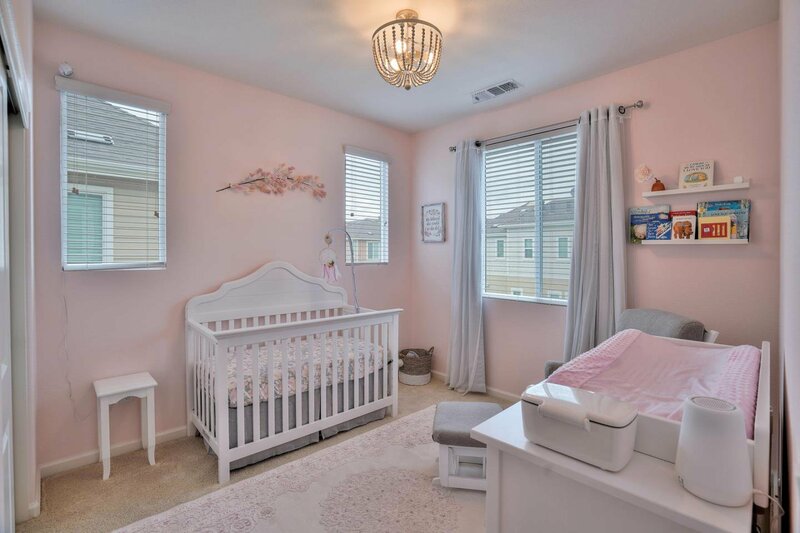 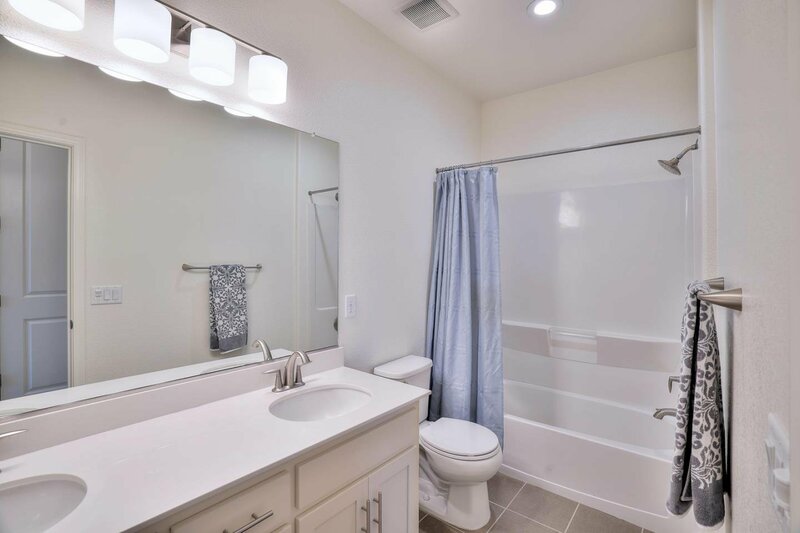 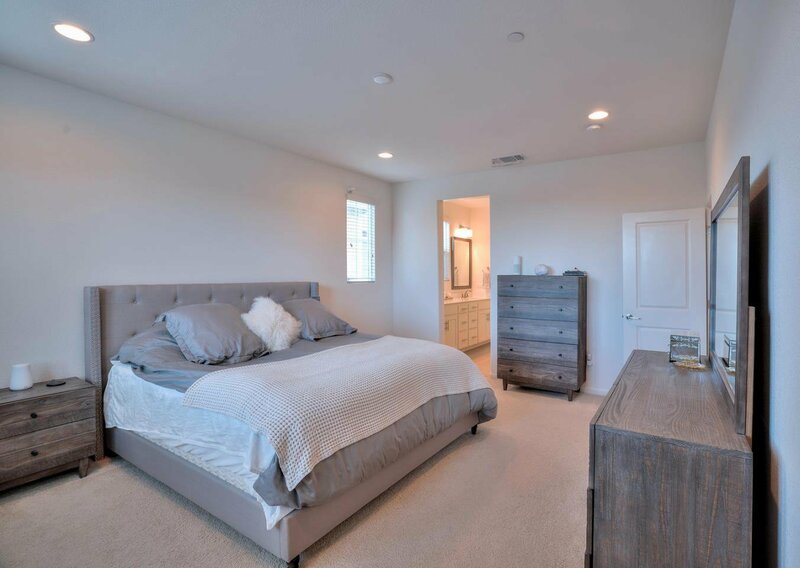 High ceilings throughout, recessed lighting, central A/C, master bedroom ensuite with dual sinks, walk-in closet & laundry upstairs for convenience. 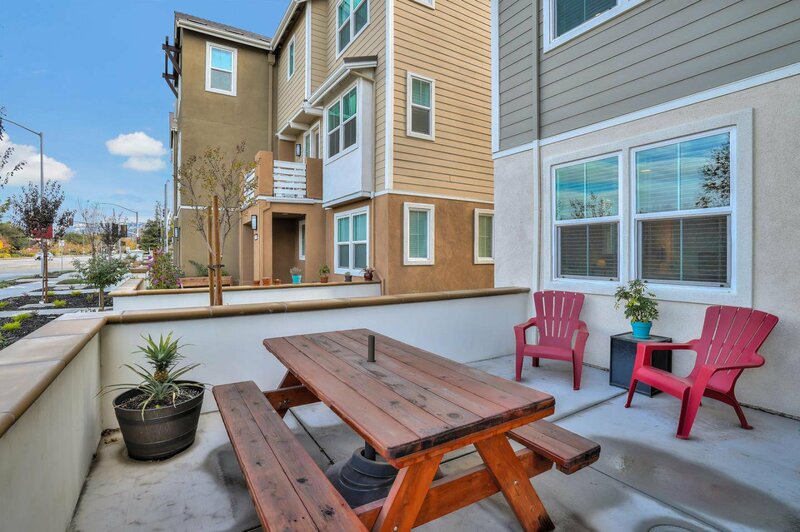 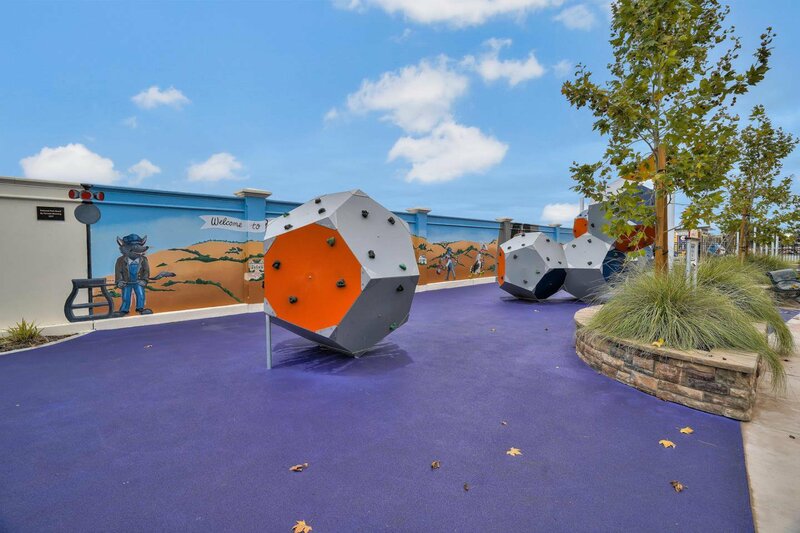 Wineries galore, close to Caltrain, fabulous restaurants, shopping & more!